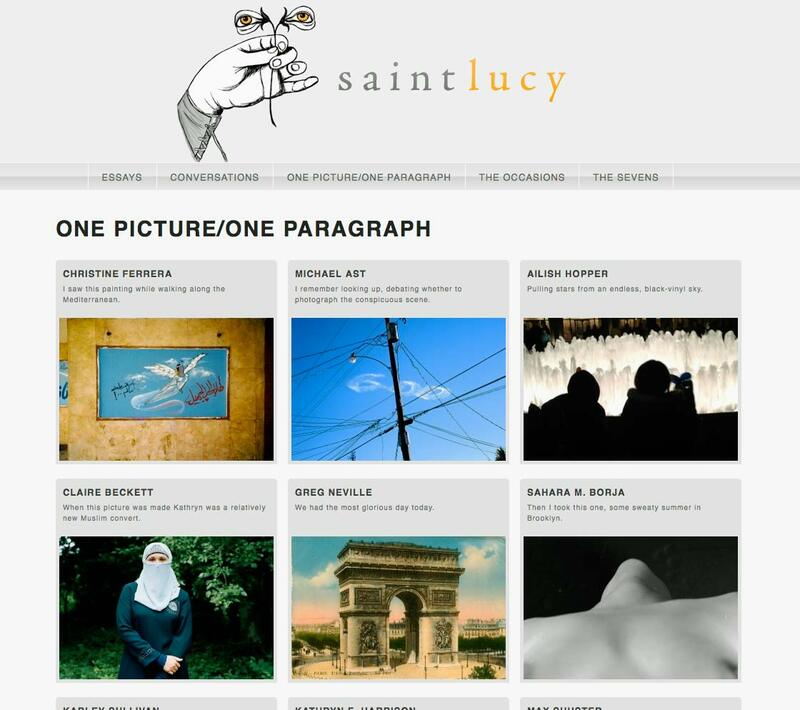 Saint Lucy is a photo media website for writing about photography and contemporary art. It has pages for interviews, for writing, for portfolios, it’s an excellent forum for speculating about photography. The site is run by Mark Alice Durant, an artist, writer and curator who is also a Professor in the Department of Visual Art at the University of Maryland. In his spare moments he teaches at the International Center of Photography in New York. One page on the site hosts single pictures accompanied by a paragraph of writing in response. It’s called One Picture/One Paragraph, a neat idea as it draws out thoughts and ideas in simple ways, many of them personal. My picture is a 100 hundred year old postcard I own with the written message on the back as my paragraph. It’s that photo of the arch in the image above – you can see it here. Neither the picture nor the photograph are my own work, but if you have a look, you’ll see why I chose it. Finally, why the name Saint Lucy? She is the patron saint of the blind and the protector of sight. The name Lucy is derived from Lux, the Latin word for light.